Filter coffee have became my morning obsession. I need a glass of filter coffee at any cost to kick start my day .All this obsession is only because I got use to the aroma of filter coffee and it will happen to everyone who loves coffee. Coffee is one drink that is prepared in so many different ways in different countries. There are the cold coffee drinks and the hot coffee drinks. I’m sure we all must have tasted a few different coffees is coffee shops. For any South Indian, more than anything, a cup of ‘filter coffee’ will be the top choice anytime and tis taste have captured my soul completely. 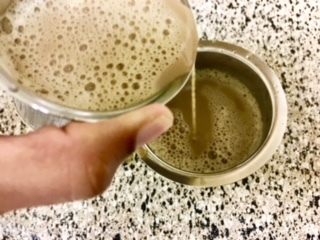 South Indian filter coffee is a coffee drink made by mixing frothed and boiled milk with the decoction obtained by brewing finely ground coffee powder in a traditional Indian filter. 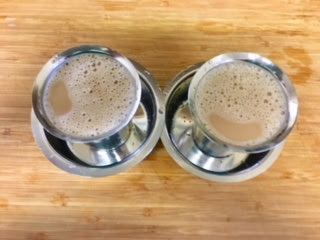 South Indian filter coffee is a strong, milky coffee decoction that’s made with a stainless steel coffee filter, and served in a traditional dabarah and tumbler. 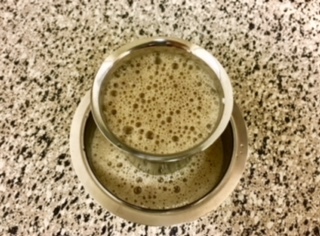 Joy of making and having a sip of home made filter coffee from fresh decoction can never be replaced buy any ready made coffee. Let’s sit back and relax with a freshly brewed filter coffee from my kitchen to yours guys!!! A perfect cup for the rainy season here..